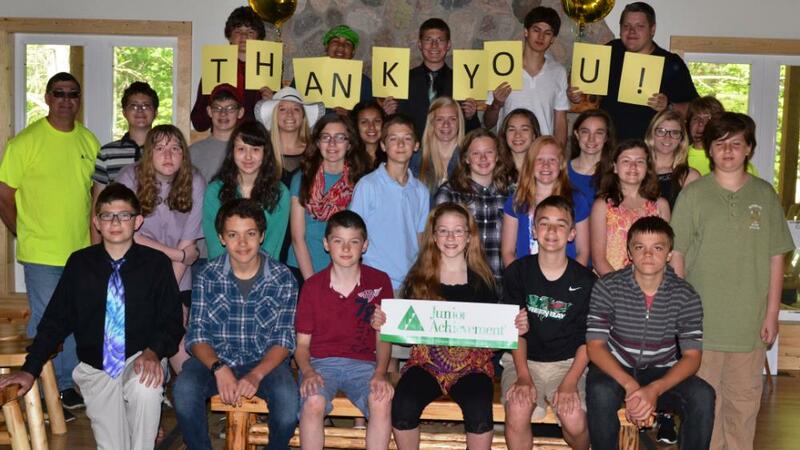 Associated Bank, in partnership with Junior Achievement (JA) and the YMCA, recently held its first-ever “Be an Entrepreneur Camp.” The camp hosted students, grades five through 12, from 15 middle and high schools in the Green Bay area, and offered the opportunity to experience firsthand the trials of starting a business. Throughout the week-long program in June, students engaged in activities that stimulated interaction, team building and leadership development. Moreover, they learned from real-world business leaders how to start up their own businesses. The week’s curriculum encouraged students to apply entrepreneurial thinking to build their own business plans; it also taught them the basics of advertising, competitive advantages, financing, marketing, product development and more. Not only did students learn the camp material, they lived it. Ultimately, a “loan” is what these young entrepreneurs sought in order to launch their businesses. To obtain a loan, each group of students had to prove they could repay the loaned amount by calculating gross margin, net profit, overhead and other finances. Given their new-found business knowledge, students also designed logos and advertising, even created prototypes to present before a panel of judges from the Northeast Wisconsin business community. Among the judges were Associated’s Lorraine Avery, strategic director of bank operations, and Denis Hogan, commercial banking business segment leader. The judges were impressed by the way the students diligently worked on their business plans for several days and pitched those plans with poise. When in front of the larger group, students were supported and encouraged by their peers, and, in the end, everyone came together as a collective team. “We encouraged students to walk away with an understanding of financing fundamentals and the value of a dollar. That way, they are able to make good, sound decisions with money in the future,” added Hogan. Joining those judges were approximately 20 other Associated colleagues, who volunteered their time to make the camp a success. They were on-site to mentor and guide students through all aspects of their business plans. Without volunteerism, this educational, fun-filled event would not have been possible.